How do we learn to fear? Is it ingrained in us by our parents or is there a fear gene? Maybe we get burned and become overly cautious. We can all admit fear isn’t always bad. It protects us from danger. Fear insulates us from the world around us and keeps us moving when situations look grim, but it also restricts us. Maybe you’re like me in this way. You’ve got the self-preservation part down, but that same fear that protects you also keeps you from doing new things. Several years ago, my family started attending a church teaching extensively on hearing God’s voice.They encouraged us to partner with God’s activity and not simply ask God to bless ours.Our church encouraged us to partner with God’s activity and not simply ask God to bless ours. Click To Tweet This was challenging for us. My wife and I both were raised in the Church. Aside from the Bible, what else did God have to say? We learned quickly God loves it when His people listen to Him. We began trying new things. When a friend told us he was sick or sad, we asked if we could pray for him in that moment. When we were at home reading our Bibles, we asked God if He had anything to say to us. It was a time of deeper experiences with God, as if we finally understood what Mary felt sitting at the feet of Jesus while Martha was bustling about. We learned about who we were in Christ and who He is to us. It was beautiful and natural and easy. I was walking down the hall through the offices when I heard it. For a few seconds, I stood in the hallway (probably looking lost or confused to the Purchasing department). I was terrified. Then I did a courageous thing. I knocked on Amanda’s door. I froze, knowing I was going to regret what I was about to say. Then it came out. I braced myself for confusion, for anger, to be completely rejected and then kicked out of her office. A few weeks prior, her husband moved into his own apartment. Married for 20 years, she felt confused, rejected, and afraid. She was losing her husband, and she wondered how it could ever get any better. Oh! And he was a firefighter. As we talked, I felt the Lord urging me into greater boldness. I told her she was a fire hydrant for Bradley, her husband. She was a source of life and from her flowed the goodness God wanted him to have in his life. I encouraged her not to give up on him. He was afraid too. He would eventually come back. I prayed with her then I left her office. Within two months, Bradley was back home with her, and they were in counseling together. They found a Christian therapist who coached them in their marriage and encouraged them in the Lord. They took root in a local church and later that summer, Amanda came to me all smiles. I couldn’t have been happier myself. Of course, God was smirking during this whole conversation, proud I’d obeyed, but shaking his head that I still didn’t get it. When I obeyed the Lord in faith, God’s kingdom showed up. When I obeyed the Lord in faith, God’s kingdom showed up. Click To Tweet Was it really that hard a lesson for me to get? When it comes to fear, we can learn two things from these verses. First, believe. Did you know we always live out our priorities? Do you want to know what you believe? Look at what you do. Does your life reflect a belief God works miracles and answers prayer? If it does, all you need to do is open your mouth. Second, speak. 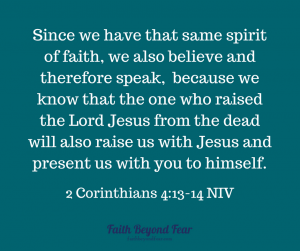 You have been given the same spirit of faith that filled the first disciples. These are the same men and women who walked on water, raised the dead, and stormed the world with the good news of Jesus. Friend, that power lives in you. Be bold. That’s not to say you’re fearless but you move where God is going despite your fear. What’s that next bold faith step for you? Is it offering to pray for someone you don’t know? Maybe it’s obeying God’s call on your life to move to another city or country and gather new followers for Jesus. Whatever it is, go do this: write it down, post it where you’ll see it, then go do it. That’s your mission, and God is calling you to it. Please share your next steps on the comments below. Chip Mattis is a graduate from Greenville University and holds a BA in Philosophy and Religion. He and his wife, Jessie, live and work in Bloomington, IN and are busy raising three children under the age of twelve. His kids bring out the silliness and the sentimentality that fill his writing. Chip loves Jesus, is an unapologetic Marvel nerd, and would love the world to be full of stories. Check out his blog at chipmattis.com and follow him on Twitter @twelve2nds. 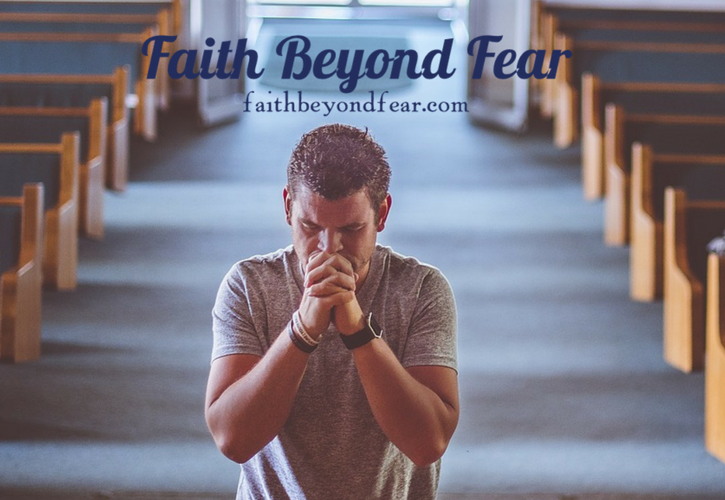 Want to read more stories of reaching beyond fear into faith? Chip, I love the fact that you were obedient even when you weren’t sure what God was doing. I needed this reminder so much, I’ve read this post a few times now. I am guilty of allowing my insecurities affect my level of obedience. 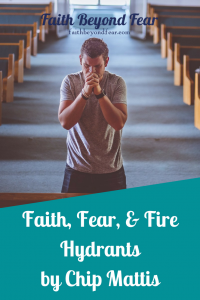 I know this an area of my faith walk that I need to work on and this post is such a great reminder to me that when I see a fire hydrant, I actually think of obedience. Thank you for sharing. You’re so welcome, Jennifer. I’m not going to lie, it’s still really hard. This was just a milestone for me in my faith, and I’m glad I obeyed. Now it’s not just Amanda and Bradley that are blessed. Thanks so much for reading and sharing! I appreciate this Testimony. My dad and all his brothers were firemen. We were raised a fire department family so I understand the analogy of the fire hydrant , but I also know the sense of community and family there was between all the men and their families. God desires that we be a family and a community, not an island. When my parents divorced, my mom lost that family and that community. Amanda was alone and when you stepped in, she no longer felt alone and abandoned. This really touched my heart because it showed the Lord’s love for his children and that he doesn’t want us doing this life alone. Dawn, thanks so much for sharing! I fully agree that God calls his people not into isolation, but into community. I was really glad that she listened to me and had the faith to trust God. I appreciate you reading! Chip, what a great post! I appreciate your transparency. Fear is something I struggle against and embrace all at the same time. I rejoice in your boldness to take God at his word and to obey. Amanda and Bradley reaped it’s beautiful fruit! God is truly amazing and we can know Him intimately! Thank you for sharing this story! You’re welcome, Callie. And thanks for reading. I completely agree. Fear can hinder us or it can move us. I can choose how I handle it, so I have to keep choosing to let it move me. Thanks for reading! Chip, wonderful testimony about joining God where He is working and reaping the blessing of obedience. Thank for sharing. Thanks, Norma! I appreciate you reading. It is so nerve-wracking to be obedient sometimes. I’ve blown it far more often than I’ve nailed it. The key is to keep practicing and stay willing. Thanks, Chip, for sharing. I like your point about showing our belief in Jesus by listening to His still small voice and then acting on the prompting. That’s great! Thanks so much, Diane. I remember learning about trying to hear God’s voice. It was like learning to hear a cricket in a windstorm. The key is to stay tuned in. Thanks for reading! This is BRILLIANT! “It was like learning to hear a cricket in a windstorm” Love that so much! Thanks for sharing your experience and heart with us, Chip! 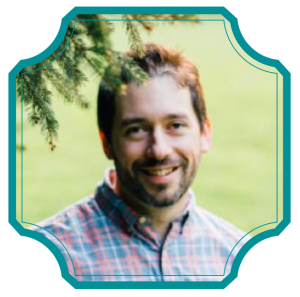 Chip I really enjoy your writing it was powerful, I have been stepping out in faith over the last few years, as I have been in journey in becoming a license local pastor through the UMC. I am totally amaze how God has use me in preaching and when I have pray with others how God uses me at that time. Thanks so much for your post, I am following you as well. Thanks, Eileen! First steps are usually the hardest. The doing part of our faith is like a muscle. It gets stronger the more we use it. Keep going! You’re doing great!